Learn the art of Japanese gardening with this classic, fascinating text. The Sakuteiki, or "Records of Garden Making," was written nearly one thousand years ago. It is the oldest existing text on Japanese gardening—or any kind of gardening—in the world. 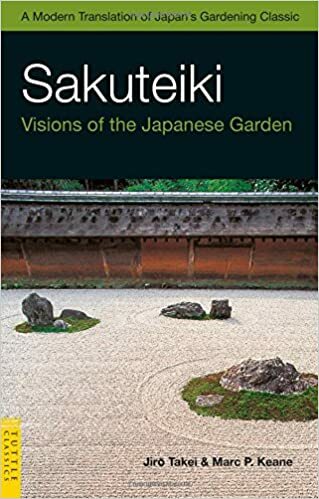 In this edition of the Sakuteiki the authors provide an English-language translation of this classic work and an introduction to the cultural and historical context that led to the development of Japanese gardening. Central to this explanation is an understanding of the sacred importance of stones in Japanese culture and Japanese garden design. Written by a Japanese court noble during the Heian period (794-1184), the Sakuteiki includes both technical advice on gardening—much of which is still followed in today's Japanese gardens—and an examination of the four central threads of allegorical meaning, which were integral features of Heian-era garden design. For those seeking inspiration to build a rock garden or just better understand the Japanese stone garden, the Sakuteiki is an enduring classic.